What Companies Did What at CSCMP 2016? 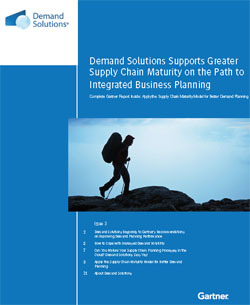 Includes the Recent Gartner Report Entitled "Apply the Supply Chain Maturity Model for Better Demand Planning." In the late 1980s and early 1990s, what supply chain initiative was championed by Roger Milliken of Milliken & Company, among others, as a life raft for the US textile and apparel industries? OK, I am back as promised after my overall review of the 2016 CSCMP annual conference in Orlando with some highlights of the educational sessions that form the bulk of the conference agenda. Before I do that, I ran out of room last week to note Dr. Chris Caplice of MIT received the CSCMP Distinguished Service Award, a great honor, and in his wonderfully brief remarks he called for more collaboration between supply chain academics and practitioners. Academics too often are doing research that has little application for real-world problems, while practitioners are too often reluctant to reach out to academic resources to look at new ways to meet their operational challenges, he said. Most insightful of all, Reade said companies and vendors need to start thinking more holistically about product flow across the DC. Also, Mary Long, VP of supply chain at Domino's, will be the CSCMP board chair for the 2016-17 term. 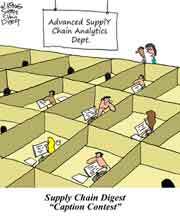 For many years very active in CSCMP, Long stressed that a meaningful career in supply chain is really based on service to your team, your company and your professional discipline, and that CSCMP offers numerous ways to contribute to the profession, as she has done in many capacities. As mentioned last week, there were 16 educational tracks this year, represented in three presentation slots on each of the first two days, for a total of 96 session. In addition, there were three "megasession" panel discussions on the last morning. There were also 16 tracks in 2015, but there were some changes, such as a new integrated supply chain track and one on government and regulations. As a side note, this year, I believe for the first time, it was required that to be a speaker or panelist that you had to be a CSCMP member. Non-members submitting proposed sessions late last year, for example, were told they and/or their co-presenters would have to join up if they wanted to be considered. A bit of hardball, for sure - we will have to see how this plays out over time. The best presentation I saw in the three days there was from Piyush Bharkava, a Dell procurement executive, who presented by himself on the company's remarkable development of an innovation culture to support its Sustainability efforts. The session was part of the CSCMP Supply Chain Innovation Award track. It resonated with me in part because Bhargava admitted he was a bit of a skeptic at first, worried that Dell's famous focus on speed and efficiency in its supply chain would be compromised by swinging the Green pendulum a bit too far. As someone with a similar mindset, I was interested to hear Bhargava say his skepticism is now gone, with the core message here being you really can have a more Sustainable supply chain and lower operating costs. The process started when company executives realized a few years ago that progress on a series of aggressive Sustainability goals was not occurring fast enough to achieve them by 2020, part of Dell's "Legacy of Good" mission that is championed by founder and CEO Michael Dell. The only answer, it seemed, was to accelerate the pace of innovation to drive Sustainability faster into just about every facet of Dell's operations, from procurement to manufacturing to logistics. Key elements, greatly summarized, include a powerful executive steering committee, "crowdsourcing" of ideas, an innovation Olympics for employees, innovation summits with suppliers and more. The efforts have led to $200 million in lower supply chain costs over the past two years, If Sustainability increases supply chain costs, Bhargava said, the business unit leaders will simply lose interest, worried about seeing their margins erode. Also, 90% of Dell's aggressive Sustainability goals are on track for achievement. As I predicted in my Monday video review last week, Dell did indeed win the innovation award, because it was an excellent story - and the Green entry almost always wins. I am not the biggest fan of panels in general, but saw a good one on Tuesday on the warehouse of the future. It wasn't really all that much about that, but an excellent discussion nonetheless. Ohio State University's Steve DeNunzio noted that the overall unemployment rate in the popular distribution center area of Columbus, OH was 4%, putting pressure companies to come up with the 20-30,000 DC workers the area needs, depending on the season. And that before two new Amazon DCs come on-line in the area, requiring another 3000 or so DC workers. DeNunzio says he has recently seen DC job postings topping $18 per hour in the area. DHL's Adrian Kumar sees a bright future for smart glasses and augmented reality for order picking in the DC, and the company has a number of pilots with clients going on across the globe, including in Columbus (e.g. pick paths visualized, virtual putwalls created through the glasses without physical lights). This is coming, I believe. Steve Reade of shoe retailer DSW was very insightful, noting that companies need to spend a lot more time on the technology-human interface, as DSW did in its new sortation system a few years ago. It spent considerable effort designing the touch points, and even went to Germany for some advice from experts over there. One result of that effort and design: the productivity rates for much older employees at these stations are the same as those for much younger workers. 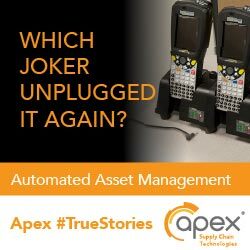 We can no longer treat receiving, QA, reserve storage, various pick areas, etc., as sort of operational islands, he said. Flow must be understood and then optimized across all these disparate processing areas, something Reade said that we have only scratched the surface of today. I will note my good friend and occasional SCDigest contributor Mark Fralick, now of GetUsROI and surely one of the top 5 most knowledgeable WMS experts in the world, more than 10 years ago had an email signature that said something like "Distribution - it's all about the flow." Is this the next paradigm in DC design and technology? On Monday, Mark Trusley of Nike, in another nice solo presentation, discussed a supply chain transformation of sorts at the athletic gear giant. At the core is moving from a more traditional linear supply chain to a more responsive one. That means increased use of regional manufacturing strategies instead of an Asia-centered one, including producing its athletic gear in the US. I found very interesting Nike's goal to "win" in key metro markets across the globe as being key to its success. Trusley said the key to that in turn will be the ability to deliver same day in those markets, and perhaps also the ability to replenish its retail partner stores directly, without going through their distribution networks. The message here: ecommerce continues to dramatically change the supply chain landscape. Nike also wants increased real-time inventory visibility across its retail partner networks - not only for itself, but for its customers. So, a consumer could go to the Nike web site and see what inventory was available right now not only from Nike but from all of its retail partners - that would be quite a paradigm shift indeed. Interestingly, as it turned to a contract manufacturer here in the US that mostly had been in the electronics space, Nike was worried the company might have a steep a learning curve in this challenging industry. Turns out, Trusley said, the contract manufacturer's deep experience in global supply chains actually taught Nike a thing or two about supplier integration and execution. I am out of space and am going to milk this for one more column. Next week: Intel on supply chain analytics, an interesting panel on the Uberization of freight, another good panel (all women) on supply chain innovation, and some advice on forecasting slow movers. Did you go to CSCMP 2016? If not, why not? If yes, what are your thoughts? Any reaction to the educational session summaries this week? Let us know your thoughts at the Feedback button below. Both are friends of SCDigest - and we would be happy with one more ripost from Schneider! Q: In the late 1980s and early 1990s, what supply chain initiative was championed by Roger Milliken of Milliken & Company, among others, as a life raft for the US textile and apparel industries? A: Quick Response, which had mixed results at best.